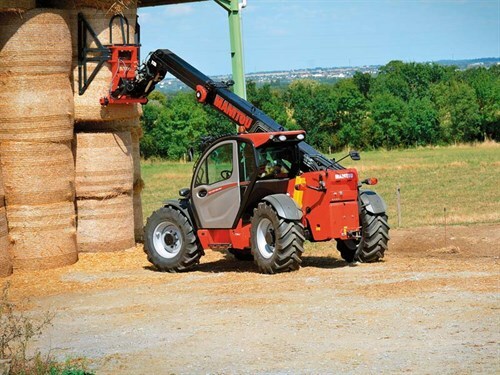 The Manitou group, world leader in all-terrain material handling, in conjunction with NZ Distributor AB Equipment Limited and the Manitou Agricultural Network is launching a new range of telehandlers dedicated to agriculture. Named NewAg, it aims to provide the best response to farmer and contractor needs and day-to-day activities. Composed of nine models, this range is characterised by a wide choice of transmissions, a brand-new cab, optimal visibility, comfort, and performance. Following three years of focus and development, Manitou is introducing new models, innovative solutions, and a complete expertise to target and answer farmer’s needs everywhere. 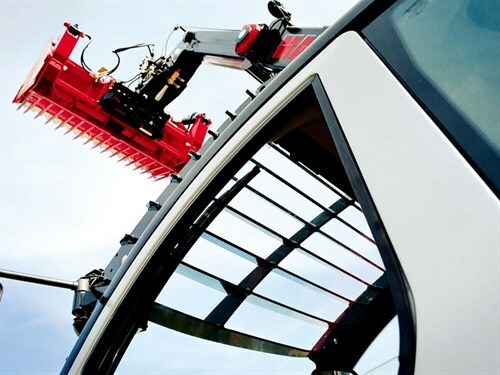 "As requirements for comfort, performance, and productivity are increasingly high on farms, we have to offer a choice of machines that are adapted to these constraints, and, of course, compliant... We have chosen to call this range NewAg because this name reflects the changes in the agricultural world and is understandable by everyone," Arnaud Boyer, vice president marketing and product development for the Manitou Group, says. From transmission improvements to new options, the NewAg range offers guarantees in term of safety, performance, and comfort. Below are some of its new features. "Offering such a wide choice of transmissions allows us to respond to the requirements of farmers. Consumption is better controlled and there are significant productivity gains. 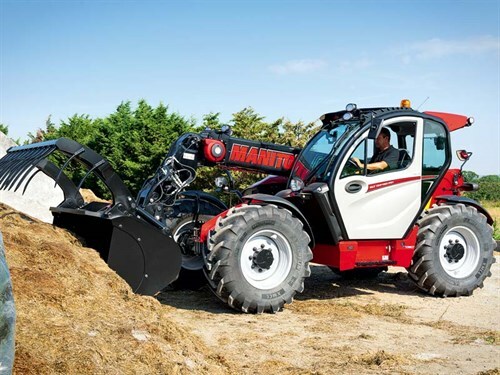 Our aim is to simplify the use of our machines while providing maximum comfort, performance, and efficiency every day," Wim Roose, agricultural range product development and market manager for the Manitou group, says. One of the main focus was to improve the visibility with the NewAg range. The engineers have redesigned the inclination of the blades on the roof grid, the low position of the articulation point of the boom, and different new working lights (LED). As a result, the range provides a clear view at any time, a real 360° visibility, and a combination of comfort and safety during operations. JSM (Joystick Switch & Move) giving the user single-handed control of raising and lowering the boom as well as all hydraulics and transmission movements. Finally, the level of soundproofing is one of the key innovative elements in this cab. Optimal acoustic insulation decreases the presence of air pockets and therefore make the NewAg the most silent cab on its market with a maximum of 73dB inside the driver’s compartment. The NewAg is equipped with three new Intelligent Hydraulics concepts. First of all, the Quicklift enables the operator to extend or retract the telescope and lift the boom simultaneously. The Bucket shaker is also a new function that shakes the bucket via a single movement of the controls. And the Return to Load memorises the exact angle of the initial position of the bucket, enabling an automatic return to the right level. The other innovation in term of hydraulics is an option dedicated to fasten boom lowering and movement. Called Regenerative Hydraulics, it uses gravity to save unused hydraulic power, which generates a gain in productivity at the end. The design of the NewAg range has been entirely reviewed. As well as the highly curved shape of the cab, the mudguards have been redesigned along with the engine hood. The boom is black on this range, giving it an aggressive appearance, ready to perform any material handling operation. A new claw and the chassis has also been redesigned, which give to the NewAg range a modern and dynamic aspect. With a capacity of 3.6 litres, the NewAG’s Deutz TCD3.6L4 engine develops a power of between 101hp and 136hp varying between 74.5kW and 100kW depending on the models. Thanks to a thermal management system and a post-treatment system, polluting discharges are limited. Another advantage is a reversible automatic ventilator, which regulates the temperature of the engine as well as expels residue from the engine bay. A better understanding and follow-up of the machine is now available with the NewAg range. A large amount of data may be collected: on one hand through the Easy Manager tool, which enables to know the real-time condition of your equipment and to determine the optimal maintenance time. On the other hand, other data is collected to provide information such as the number of hours worked or the distance run. This data allows to assess the Total Cost of Ownership of the machine. On the NewAg range, fuel consumption has been reduced by five percent and maintenance costs by 15%, which gives the new range the lowest TCO on the market. Moreover, the four greasing points in the NewAg are now centralised at the rear of the machine and thus are easily accessible to the operator, resulting in time saved maintaining the machine. Finally, numerous other options are available on the NewAg range. A wide range of tyres from manufacturers such as Michelin, Trelleborg, and Alliance can satisfy all requirements. More than 100 attachments are offered, including a new CBG 2450/1700 bucket with a total capacity of 1700 litres for improved efficiency. Furthermore, all of the new MLT models of the NewAg are CE Tractor approved with a maximum towing capacity of 28 metric tonnes. Thanks to a wide range equipped with numerous innovations, the Manitou group is providing excellent solutions to the problems currently faced by farmers, who have to cope with ever-increasing productivity and efficiency. The targets have been met, namely to provide a solution combining comfort, performance, efficiency, and services. The NewAg range will be available for purchase in New Zealand late 2018. However, the MLT 737, part of the NewAg, will be available for preview in June at the National Fieldays® in Mystery Creek Hamilton. For further enquiries, contact Rob Fuller, GM sales & marketing/product specialist on 021 653956.